Bless the beasts… but don’t turn your back on them! 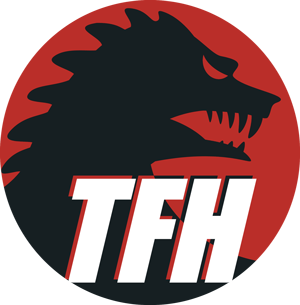 It’s the TFH Mother Nature Quiz (Part One – Part Two will air next week)! What kind of creature chases after Charlton Heston in The Naked Jungle? The George Pal production was based on was based on the short story Leiningen Versus the Ants by Carl Stephenson. Who plays the animal-worshiping madman in 1963’s Black Zoo? Animal-lover Gough had previously tamed our favorite gorilla in 1961’s Konga (who makes a cameo in Black Zoo). Hitchcock’s The Birds was based on a novella by this writer. Du Maurier first published the story in her 1952 collection, The Apple Tree. What member of a legendary rock band appears in 1966’s The Deadly Bees? Not necessarily inspired by Hitchcock’s film, the current Rolling Stone’s sideman was part of an actual band called The Birds who made a short musical appearance in The Deadly Bees. What kind of spider causes William Shatner grief in Kingdom of the Spiders? One of the great guilty-pleasure movies of all time, John “Bud” Cardos’ film was released in 1977 and has earned a well-deserved cult movie rep in the ensuing years. Joe Dante’s Piranha was the first screenwriting gig for this esteemed director and author. Sayles makes a cameo (as he did in the Dante/Sayles follow-up, The Howling) in this 1978 New World release. This iconic tough guy plays the big game hunter hired to kill the giant lizard in 1980’s Alligator. The still vital Silva was last seen in Soderbergh’s Ocean’s 11. In Lewis Teague’s 1983 thriller, the monster dog Cujo assaults Dee Wallace and her son in what location? Teague’s film was a modest hit upon its release in 1983. What were the creepy-crawly stars of 1976’s Squirm? Though not the best choice for a first-date movie, Squirm does feature some appropriately appalling makeup effects from Rick Baker. This Universal horror actor appeared alongside rat-lover Bruce Davison in 1971’s Willard. The proudly eccentric actress kept busy in TV and films up to the early 80’s.